In de Wildeman, one of Amsterdams oldest and finest specialized beer bars turned 30 this year. They have a great little tradition of anniversary brews. They asked us to update the porter Brouwerij De Molen did for their 25th birthday. We decided to stick to the pitch black of this Wildemanporter but otherwise completely changed it. We turned it into something we would rather like to call a black session ale. For with its 4.5% abv this is way too light to qualify as a porter. But while many session ales rely on loads of hops, this beer really benefits from the roasted malts in terms of taste too. This velvety, pitch black liquid goes down very easily. Yet the soft combination of roast malts and refreshing hops lingers in a very pleasant way. The first provide a soft sweetish touch of liquorice, the latter a subtle but fresh, slightly bitter, citrus bite. This beer is as summery as a black beer gets. 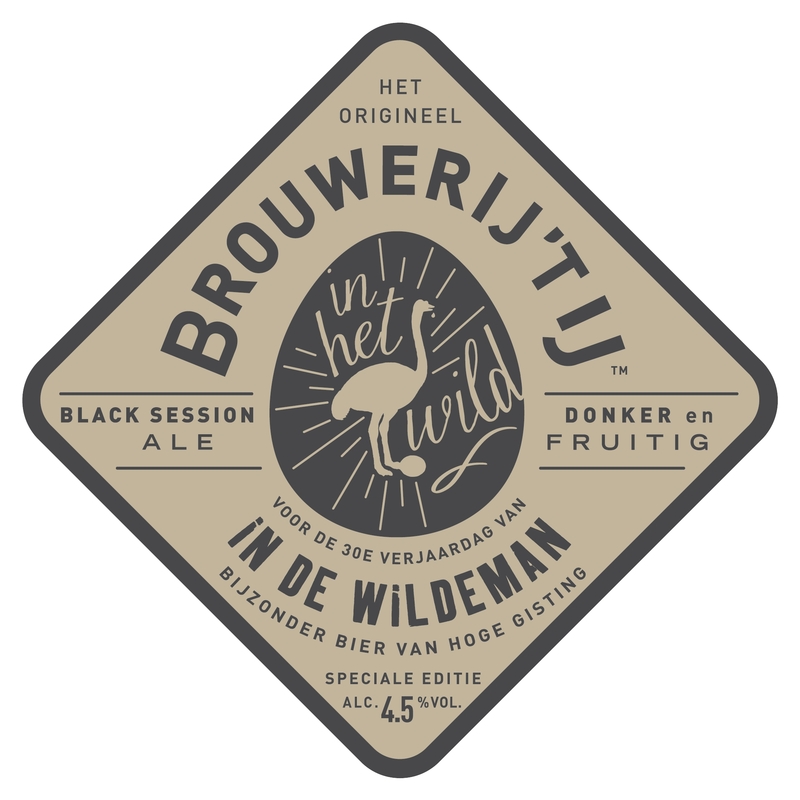 In de Wildeman aims to pour this beer during their entire 31st year of existence. We kept some for our very own tasting room but are afraid that will be finished sooner.